Will we get another surprise like Fallout Shelter? 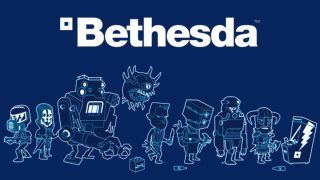 Bethesda is returning to the stage at E3 2016, announcing via Twitter its second-ever solo showcase in Los Angeles before the massive gaming expo. Just like last year, Bethesda's conference will be sort of a pre-show, airing two days before E3's doors officially open. The festivities will begin at 7pm PST on June 12. Though company-held conferences tend to be exclusive to the press, it is more than likely that the proceedings will also be streamed live, as was the case at Bethesda's show last year. The news comes a less than a week after fellow video game publisher Electronic Arts announced it's skipping E3 altogether, instead hosting its very own event on the same day as Bethesda's showcase. Bethesda's debut E3 conference last year featured multiple reveals, including the announcement of Dishonored 2, new footage of Doom and Fallout 4, and the surprise launch of Fallout Shelter. While it's too soon to guarantee anything, it's never too soon to wildly speculate! Keep an eye on our E3 2016 hub as we near June 12, just in case The Evil Within 2 or a new Elder Scrolls becomes a reality.